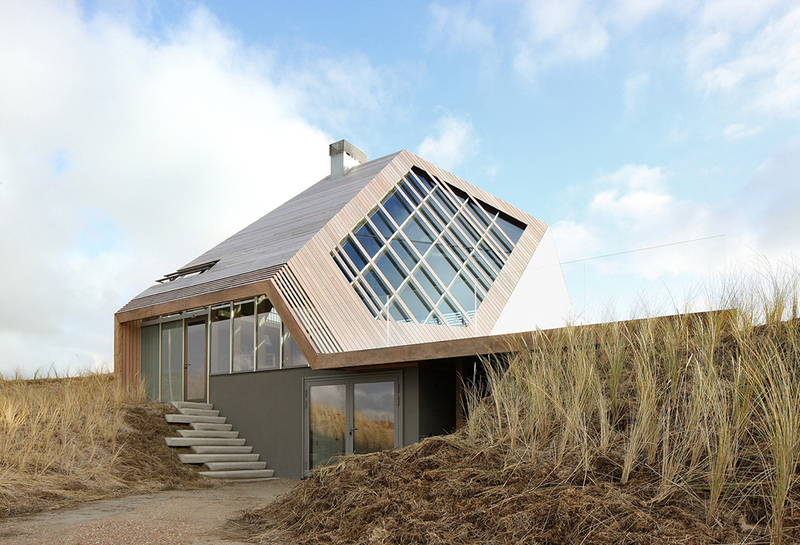 The concept of this house is inspired by the dune landscape of Terschelling, one of the northern Dutch islands in which the house is embedded. The house really fits its environment but still it stands out. 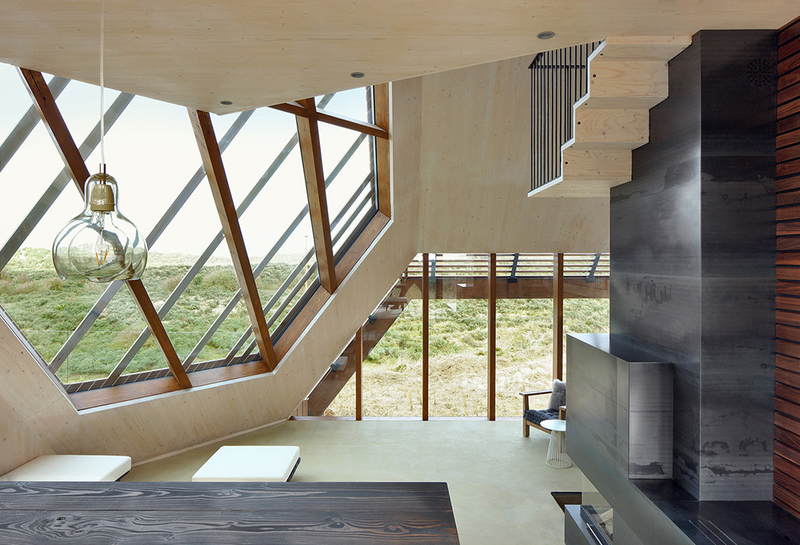 I love how the architecture exposes a sequence of view points on the dune landscape: from submerged and intimate viewpoints to elevated and stretched out views over the sea. 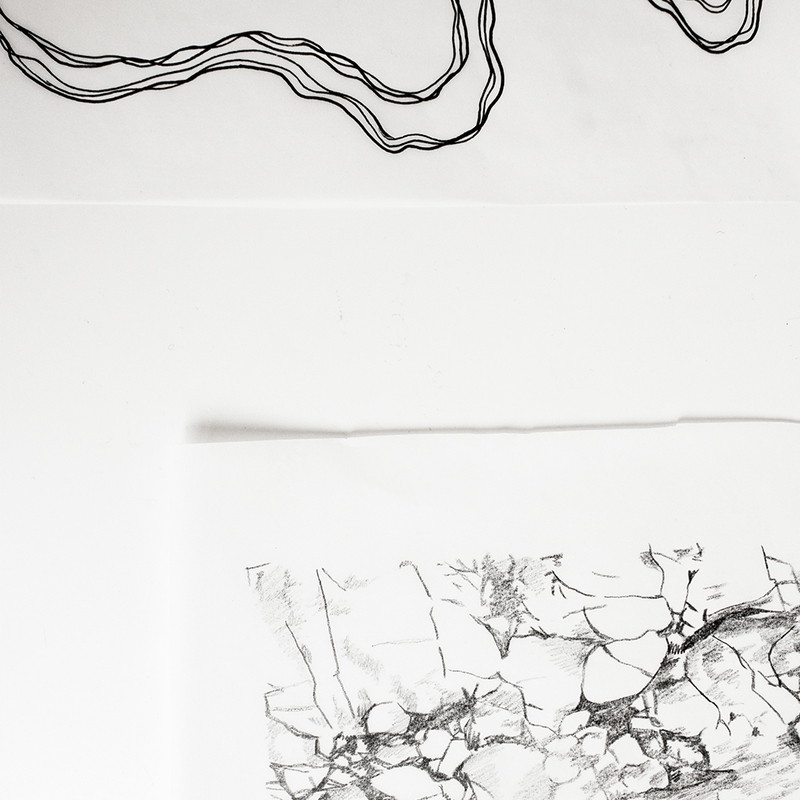 Marc Koehler was born in the Northern Dutch town of Naarden in 1977 to parents of Dutch-Portuguese heritage. He studied Engineering at the Amsterdam School of Technology, Urbanism at the Technical University of Lisbon and Architecture at the Technical University of Delft, where he graduated with Honors in 2003. 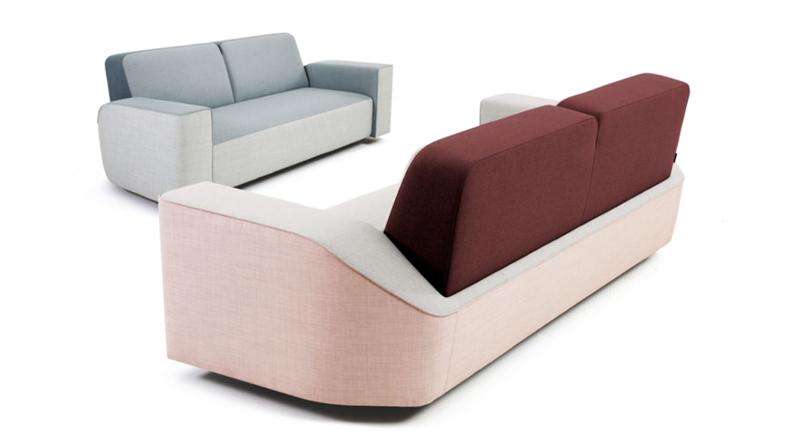 After working at the renown Dutch architecture firm Architekten Cie. Marc founded his own design practice MKA in 2005. 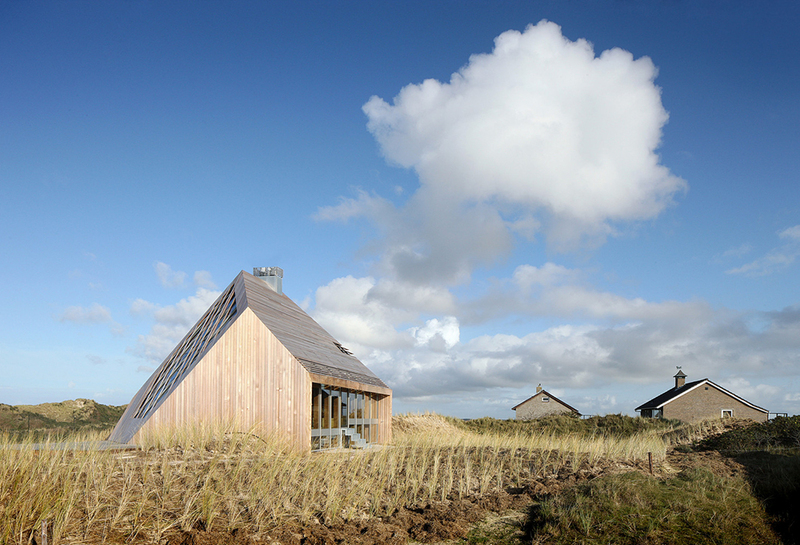 Based on the Dune House project in Terschelling, Marc Koehler received numerous national and international prizes. The different spaces of the house are connected to each other in a continuoes way by a spiral route. 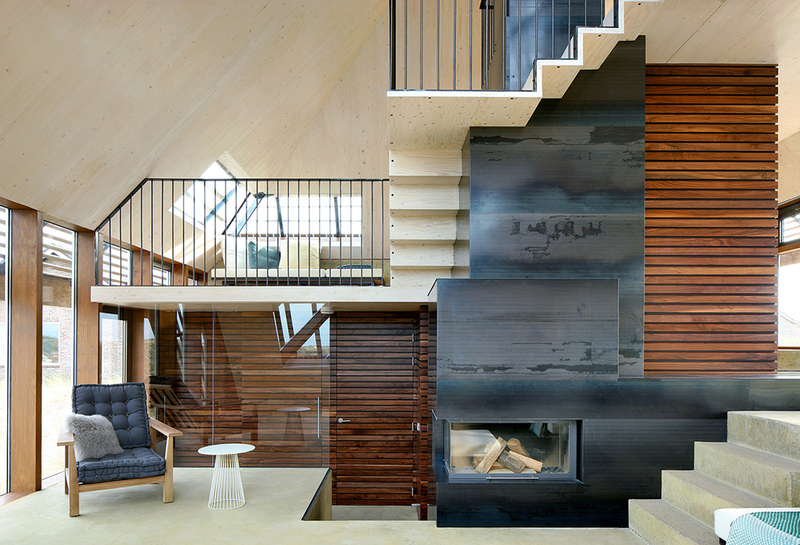 Split-level floors – functioning as large steps – wind along the central core (used as technical space, fireplace and bookcase) of the building. This spiraling route connects the most intimate underground private spaces (bedrooms) with the living, dining and relax spaces on the upper levels. Every level has its own unique connection with the surrounding landscape. The house is almost entirely built out of innovative ecological materials and eco-friendly installations and is highly energy efficient. The use of a unique wooden cross-laminated structure, a unique wooden roofing system and the central heating system based on bio-fuel, reduce the CO2 footprint to a minimum. 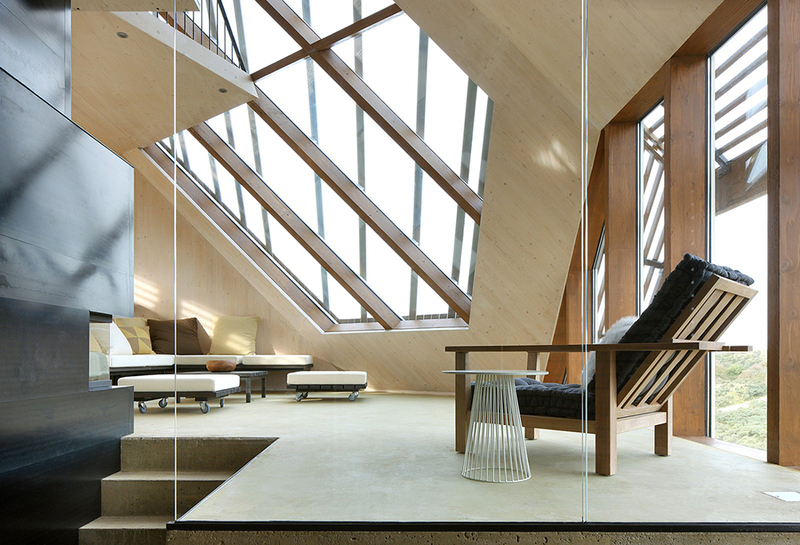 More about the design of the dune house and other projects you can find on the website of MKA.